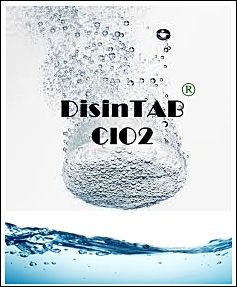 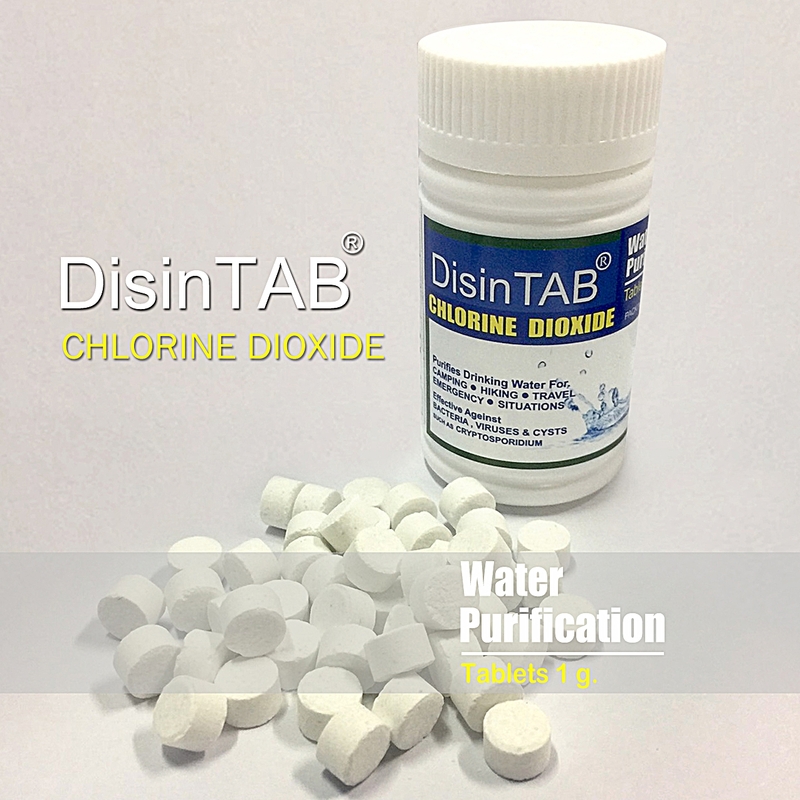 Chlorine dioxide is internationally recognized as the only effective chlorine disinfectant sterilization agent, it can kill all microorganisms, including bacteria, bacteria spores, fungi, mycobacteria and viruses, and these bacteriaIt does not produce resistance. 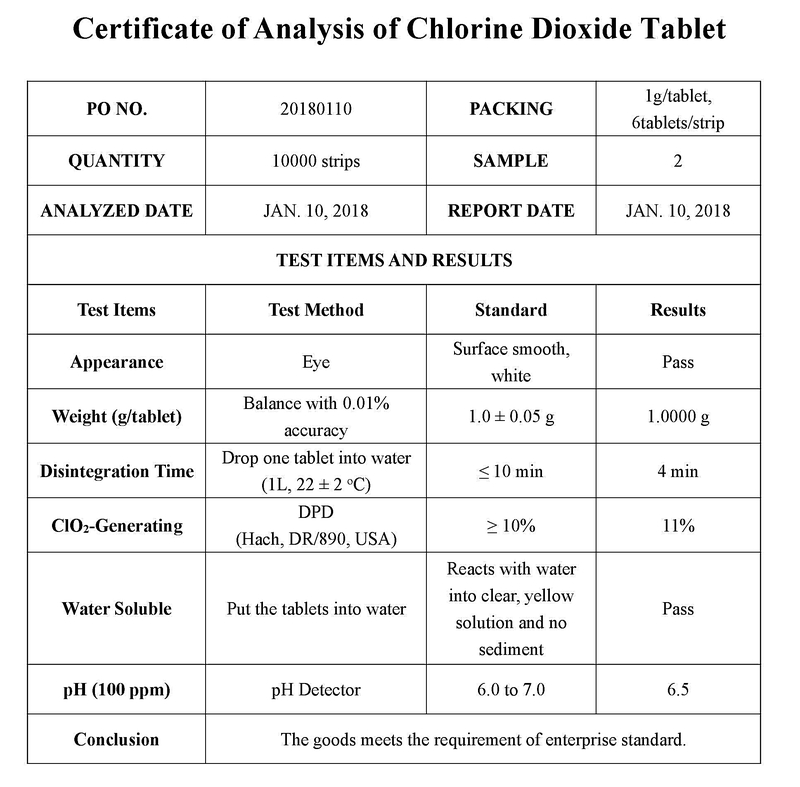 Chlorine dioxide for microbial cell walls have strong adsorption ability to penetrate cells can effectively oxidize thiol group containing enzymes, can quickly suppress microbial protein synthesis to destroy microorganisms. 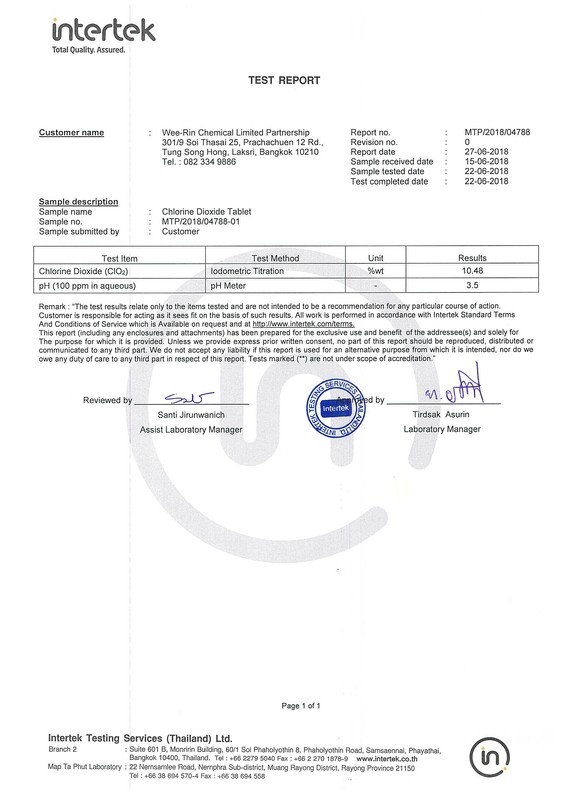 อัตราส่วน : เม็ด 1 กรัม /น้ำ 100 ลิตร จะได้ค่าที่ 1 ppm.